Solar Pool Heating, Solar Electricity, and solar hot water systems, all have attachment systems to the roof that must be engineered properly. Every system has a unique attachment method and every roof requires special precaution and hardware to hit a home run with a solid design and a water tight roof. Design a roof that has an excellent orientation to the sun and plenty of space for a clean square or rectangular solar power system. All conduits should be roughed in and hidden from view. Roof attachments for the solar pool heating system, solar hot water system, or solar electric system should be designed and installed after the roof is sheeted. 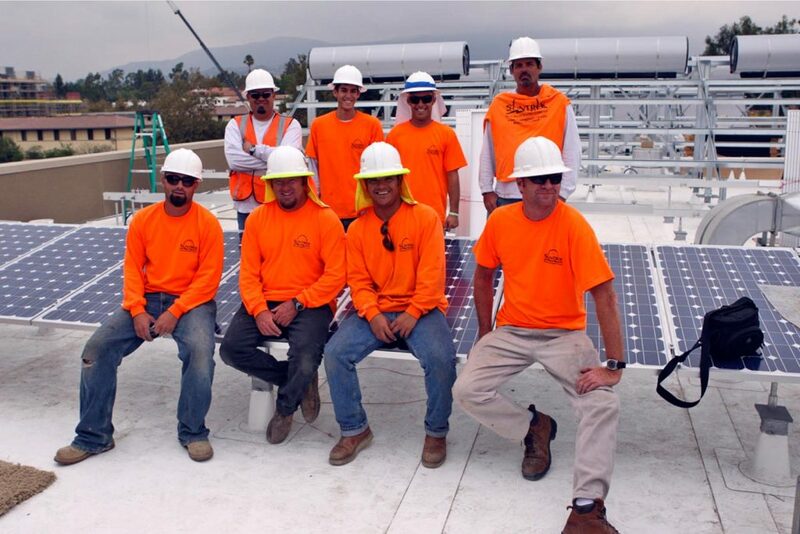 Once sheeted, roofer can flash in all roof penetrations for the solar energy systems so that there are no penetrations that have not been flashed in by the roofing contractor. 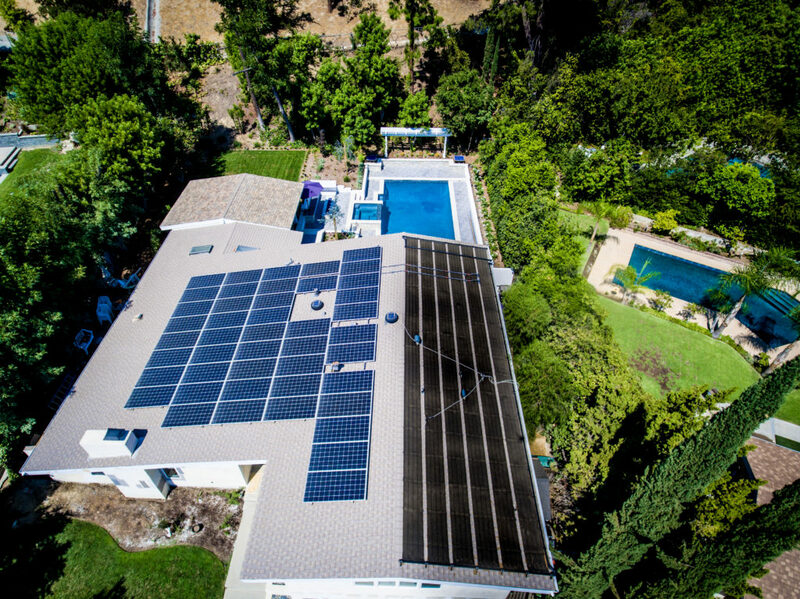 Last but not least, if the home is going to have a tile roof, we strongly suggest installing a less expensive composition roof in the footprint of the solar energy systems. 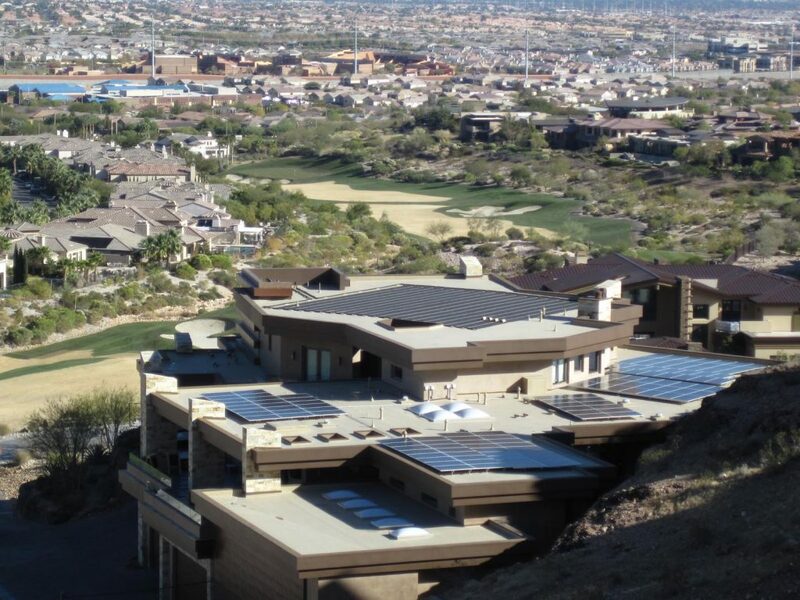 Once the composition roof is completed, the solar energy contractor can then walk on the composition roof, install all the solar power systems and then allow the roofer to tile in around the system to give it an integrated look. What is the age and condition of the roof. Will the roof outlast the solar system. If not, consider a new roof for the home before a solar power system is installed. Even consider a new roof just in the footprint of the solar system. Determine best method of attachment. This is a broad statement and there are many approach’s to a successful project. Pick the best one. It may or may not include having a roofing contractor involved. Last but not least, never leave a roof in jeopardy. If you see issues with a roof, bring it up immediately to your client so that this can be addressed to eliminate leaks in the future.